Serving as the Principal of Fredstrom Elementary, Vicki Schulenberg has had a thrilling year to say the least. 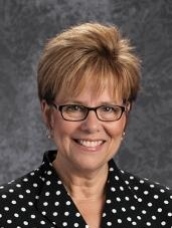 From being recognized individually for her outstanding leadership and continuous pursuit of student achievement with the Marie Bourke Leadership Educator Award to her school receiving the 2016 Inspire School Award, Vicki’s dedication to LPS has not gone unnoticed. What does day a day in the life of Vicki Schulenberg look like? Most of my time is spent with my family or at school. The Lincoln Public Schools is a remarkable school district, focused on the needs of students, and I'm proud to be a part of this system. Professionally, I am involved with several school administrator groups and ASCD. I also serve on the board for the Lincoln Midwest Ballet Company and am involved with my church, Messiah Lutheran. Interestingly enough, my husband and I are both principals for LPS. I actually helped to open Fredstrom School, as a grades 1/2 teacher in 1983...and have been here ever since! 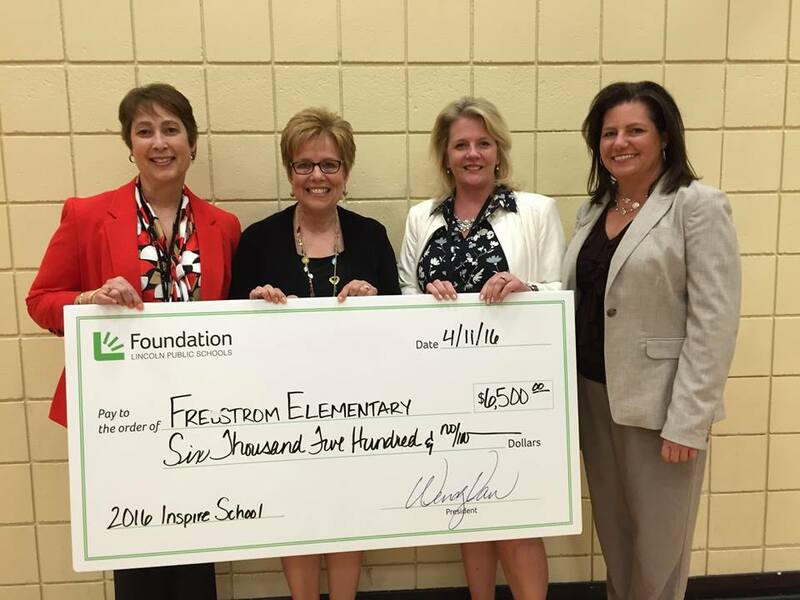 What does it mean to you to have Fredstrom selected as the 2016 Inspire School? Having Fredstrom selected as the 2016 Inspire School was a wonderful honor. The staff at Fredstrom works incredibly hard (as do educators all over the district) and has been focused on meeting the needs of the whole child, which means we are making sure each student is healthy, safe, engaged, supported and challenged at school. While doing all of this, we have also been raising student achievement levels in all academic areas. Because of all of this, it was so exciting to share this award with our staff, students and families! What impact will this have on the school, staff, students, and families? We hope to use the $6,500 award to further our work on increasing student engagement. We are hoping to offer professional development opportunities, to all staff which will increase our expertise with using engagement strategies in the classroom. Students will benefit from these engagement strategies in a multitude of ways from academically to socially and emotionally. As more engagement strategies are implemented in the classroom, students will have more of a voice in their learning. We are also considering an artist-in-residence experience to include students in a lasting tribute to learning. What's the most notable memory you have from partnering with FLPS? Obviously, receiving The Inspire School Award is a highlight! It was also very humbling, as we know that many schools are doing excellent work. I was picking something up at district office, before leaving with some staff to present on whole child programs at the ASCD national conference in Atlanta, when Wendy Van asked me to stop by the foundation office on my way out of the building...I thought it was something related to Bubba's Closet, so I was overwhelmed and very excited when she told me that Fredstrom had won the Inspire School Award. The FLPS staff were all waiting, slightly after hours, to be part of the announcement. Their joy in giving out awards was obvious. We had smiles all around. It was hard not to tell our staff right away, but the announcement at an assembly, in front of students and staff, was lots of fun! The work that FLPS did with the Elementary Principals' group for Bubba's Closet, a coat/clothing give away, was also a highlight. Over 900 students had NEW warm coats thanks to the grant partnership of FLPS and Wal-Mart. It was very rewarding to be part of something like this. Thank you to Wendy Van and the staff at the Foundation for LPS on behalf of the elementary principals and the students who proudly wore their new gear to school after Bubba's Closet!